In the immediate area there are pretty villages to visit, lots of churches and cathedrals, old chateaux and abbeys. The beach is approximately 20 minutes away by car. It is a wide, safe, sandy beach stretching along the coast for around 5 kilometers. The nearest point is St Martin de Brehal where you will find a few shops selling traditional beach items, a bar, a cafe and, most importantly, a place to buy ice cream! Life guards are on duty here during the summer holidays (between certain hours) and they monitor specific swimming areas. The nearest town is Gavray. Market day is Saturday morning when all the locals and tourists turn out to buy their fresh vegetables and fruit, fresh fish, cheese & cream, clothes and leather goods, shoes. several restaurants offering a variety of foods. Local products include Gavray cheese (a strongly flavoured, unpasteurised camembert) and the local Andouillerie de la Baleine (smoked sausage) which does tours in the summer months. Coutances and Granville are the nearest “big” towns. Coutances Cathedral and the Jardin Public (public gardens) are well worth a visit. In Granville a visit to Granville Hauteville (the old town high above the main town) is a lovely quaint old walled town and, because it is on the peninsula, you can walk all around the batiments and have wonderful views of the town and the sea, the Chaussey Islands and, on a clear day, Jersey. From the harbour down below it is possible to take a ferry (foot passengers only) for a day trip to the Chaussey Isles or to Jersey. The Chaussey Isles are a privately owned nature reserve. It is only possible to land on the biggest of the isles, on which there is a hotel. 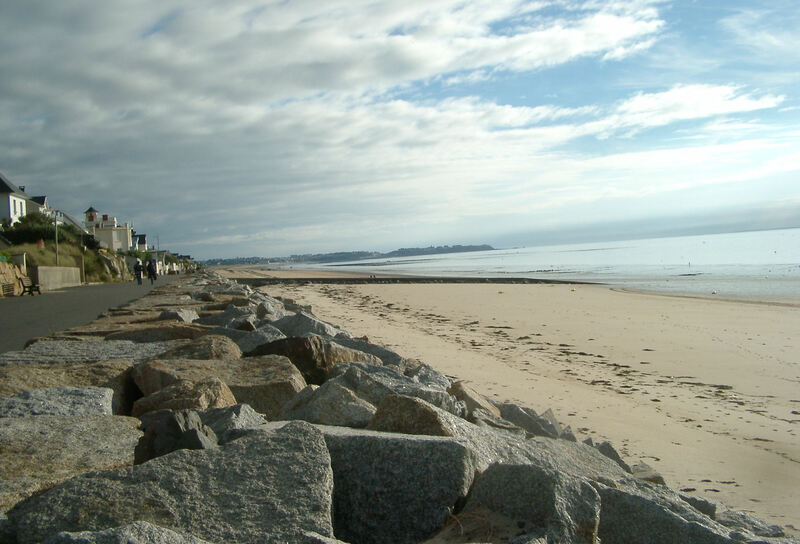 The Jersey crossing is 1 hour 15 minutes and the port in Jersey is a short walk away from the main town of St Helier where you can get tours of the island or spend the day in the main town. It is recommended that you book the ferry in advance as the trip is very popular. Generally parking in Normandie is free but sometimes it is limited to one or two hours (blue zone parking). In the big cities (e.g Caen) you will have to pay for parking.